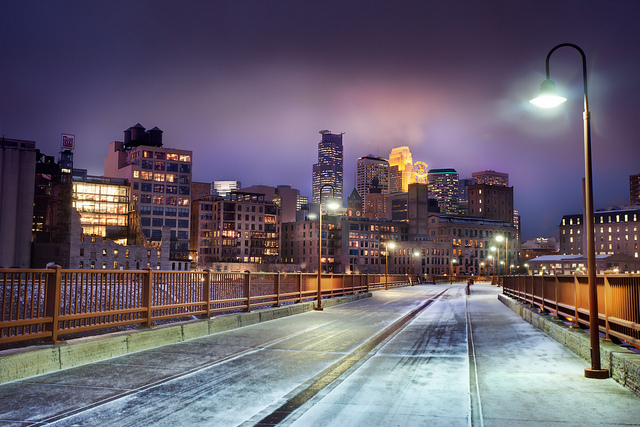 Whole Woman’s Health: Hello Twin Cities! We have some exciting news! Tomorrow, February 14th, 2012, Whole Woman’s Health will begin serving women in the state of Minnesota. After almost 10 years of serving women in the states of Texas and Maryland, we are more than thrilled to now expand into the Midwest and to the homeland of our Founder and CEO, Amy Hagstrom Miller. Ya sure you betcha! Most importantly, it is our honor to carry on the legacy of the famously feminist Midwest Health Center for Women. The work this center has done over their 30 years of business has been phenomenal. They have served the community kindly, effectively and passionately. They are fierce reproductive freedom fighters with a solid reputation, both locally and nationally. We are humbled and honored to take the reins from here. Whole Woman’s Health of the Twin Cities will continue to provide abortion care to 16 weeks, as well as low-cost gynecology care, including birth control and walk-in pregnancy testing. We welcome those women who have been long-standing patients of Midwest, as well as new patients. We also want to extend a greeting to those women who may have seen Midwest as something more than a resource for healthcare. Clinic escorts, volunteers and fellow feminists of Minnesota, we cannot wait to shake each of your hands and work together with you to empower our community while serving the women and families who need us. Today we’re raising our glass to the Midwest Health Center for Women, the health of women and families in Minnesota, and to a new chapter (albeit, with thicker coats!) for Whole Woman’s Health. Will you continue a clinic in the style of “S.H.E.” for LGBT clients? Hey there – Fear not! Whole Woman’s Health is absolutely on board the open, non-judgmental LGBT-positive healthcare train. As of now, we’re still getting our programs and fees together to begin our gynecology services in early March. However, we want to thank you for reaching out to us first. Leaving people without the healthcare services they relied on is not something we want to do and we encourage everybody to let us know what’s most important to you, as we make this transition. We unfortunately do not have non-profit status, but our employees are really phenomenal at working with women’s finances and fundraising on their behalf. What a wonderful first day! Spending time with the WWH- Twin Cities team was the perfect valentine’s. What a fabulous group of empowered women. We are up to greatness in MN! What a terrible transition!!! whoever is leading this change has dropped the ball– there is no info to be found on the web for patients trying to reach their doctor, no info about the hand over, no info about when the change will be over, very little info about the name change. Worse yet, the phone line system found under the MWHCW search claims to allow for leaving voicemails yet an error message is received when that option is chose. I’m not impressed, Texas company. First of all, our apologies for your experience. I am sure it’s frustrating to find out that your Doctor’s office has closed, after the fact. I’m not sure if you were contacted by Midwest about the closing or not, but please know that we are doing our best to keep Midwest’s established patients feel comfortable about the transition. We have access to Midwest patient records, so your files are still available. As well, there are many staff members and physicians still on board from Midwest – some of whom are appointed for Midwest-era billing, prescription and previous patient concerns. We can certainly connect you with them directly to answer all of your questions about the transition. I’m not completely sure which MWHCW phone line system you’re referring to. If you dial the Midwest Health Center phone number, you will reach one of our phone counselors who have been explaining the transition to those who have questions. If you’re aware of another phone number, please let us know and we will do our best to route those calls as well, so that you and others trying to reach Midwest don’t reach a dead end. Email us here info@wholewomanshealth.com if we can help you with something specific, or you can also call us here 612-332-2311, as well. Nonetheless, there is no transparency: why no mention of Midwest Health Center at all? Why not keep the site live for a few months with a redirect message and a notice about what happened? Can’t you see that people will be completely baffled when they go to http://www.midwesthealthcenter.org and there’s NOTHING? There should be some kind of message on that page — we are now WWH, for example. And on the WWH site, there’s no phone number for the the local clinic. It’s all Texas-oriented. Very much has the feel of operating remotely: the base is in Texas. Thanks for your input. The .org domain was for some reason not re-directing properly for a bit of time, due to some server errors from our host. Apologies for the confusion, but this has since been fixed. If you try again, you’ll see that it does re-direct to the Whole Woman’s Health website where the first thing you see is a note that we are carrying on the work of Midwest, and to click on the twin cities link to the left for more information, including a direct phone number. We do have a lot of clinics in Texas, which is why it may seem “Texas-oriented.” If this becomes too off-putting for a number of patients, we may consider designing a new website for each state, but as of now it hasn’t been too much of a problem.